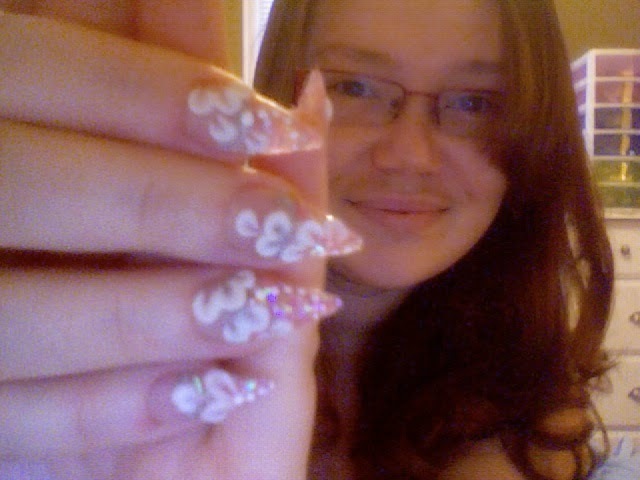 This is an acrylic nail idea that I did on my own nails. 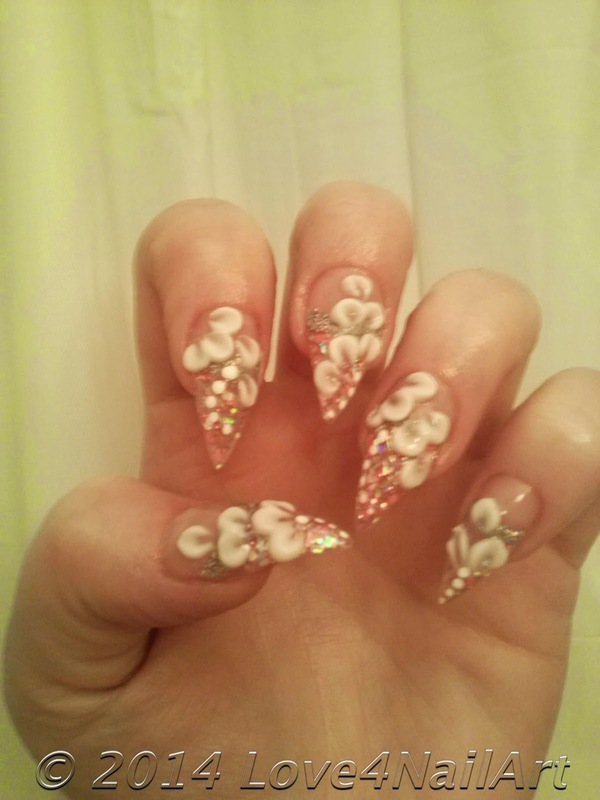 I am absolutely in LOVE with stiletto nails! This is a idea that I decided to rock. items I used to achieve this look. hexagons (medium) and clear acrylic. 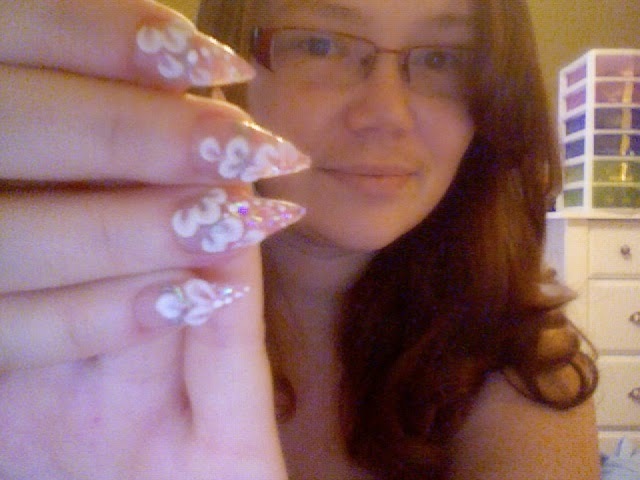 I also used another homemade glitter mix of clear acrylic and AB silver glitter. 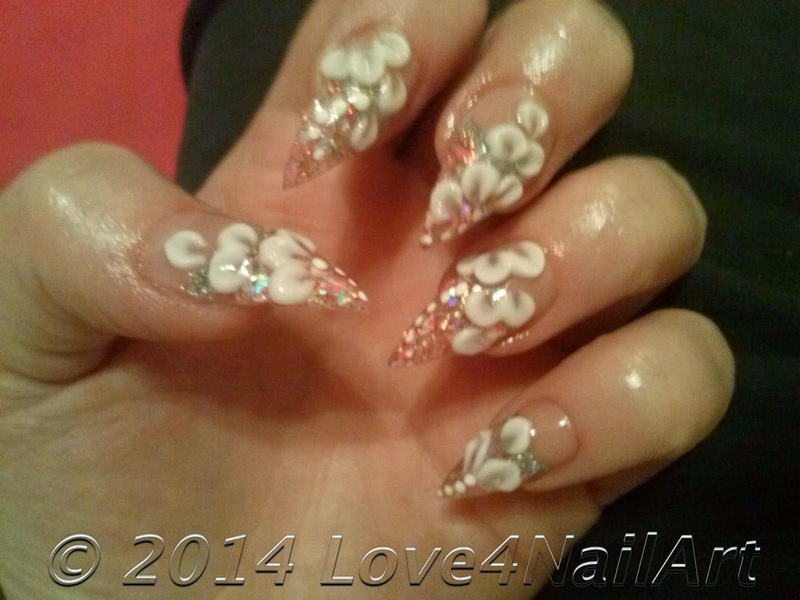 As well as OPI Absolute acrylic in perfect white for the 3D design. 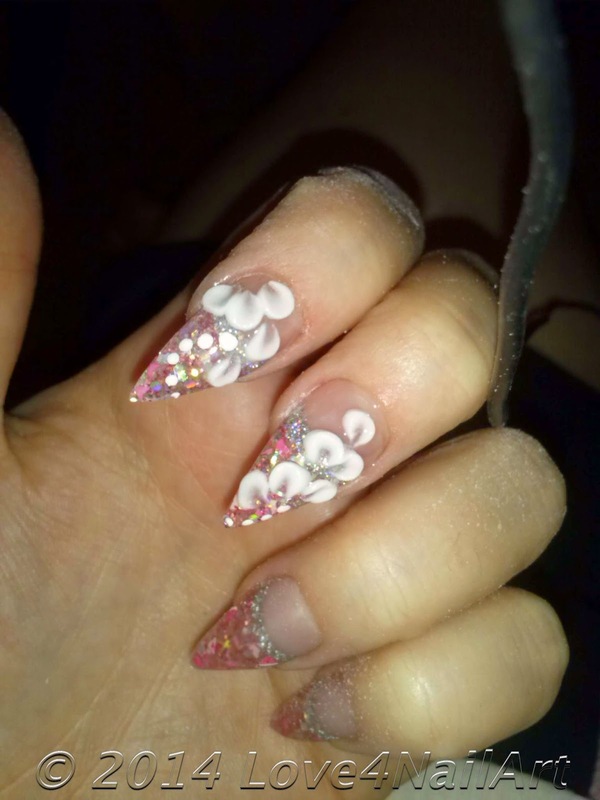 This last picture posted above is after I did a fill. I decided to do another 3d design. 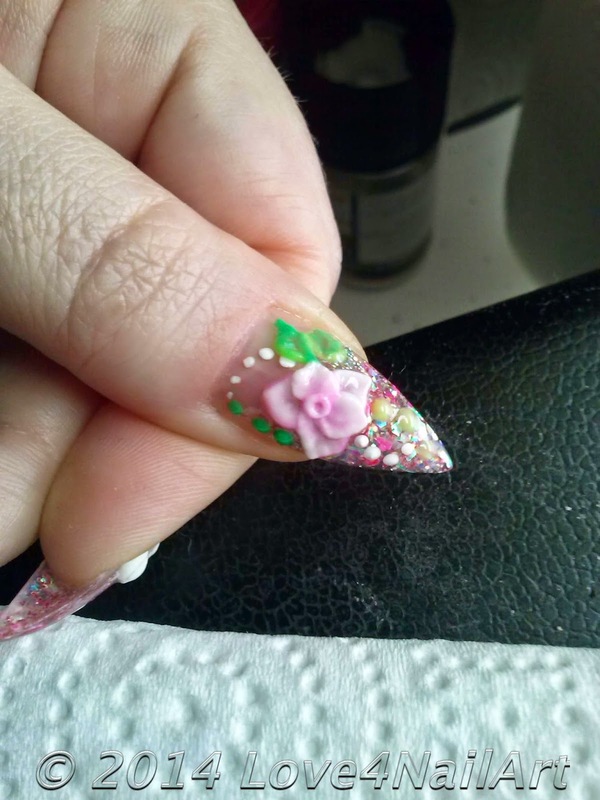 This one was pink roses with green leaves.